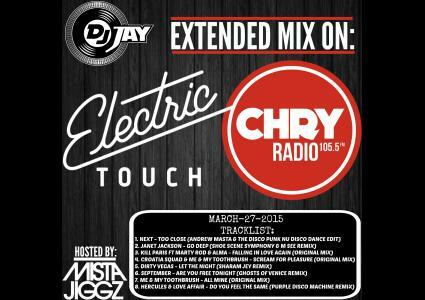 DJ JAYS LIVE SET FEATURED ON MISTA JIGGZ's SHOW THE ELECTRIC TOUCH LIVE ON CHRY 105.5FM TORONTO. THE 25 MINUTE MIX FEATURES SOME GROOVY NU-DISCO TRACKS! !